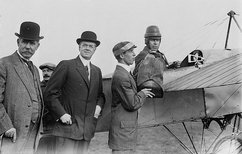 f you have a question or a comment about the Wright brothers, the invention of the airplane, or any other topic that has to do with pioneer aviation before the First World War, please write us. 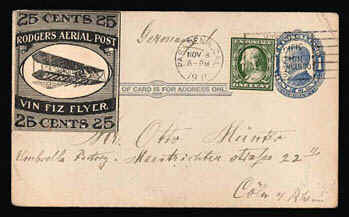 Our email address is: orville@wright-brothers.org. Before you contact us, you may want to scan these answers to questions that we so often get from visitors. Where is the museum and what are your hours? Should you want to visit us, that could be problematic. We are a virtual museum only. Although we have built (and flown) a good many Wright airplanes, as well as Wright bicycles, flight simulators, and exhibits, these are on display at other museums around the world. We can however, come to visit you. We have a "portable museum" of the Wright brothers that we bring to schools, libraries, and and special events. If you'd like to host us, see our Secret of Flight program in Exhibits & Programs. Will you send information and brochures? The Wright Timeline 1899 to 1905 ─ a concise history of the development of the first practical airplane. What Did the Wright Brothers Invent? ─ an illustrated explanation of what the Wright brothers really invented. And no, it wasn't the airplane. 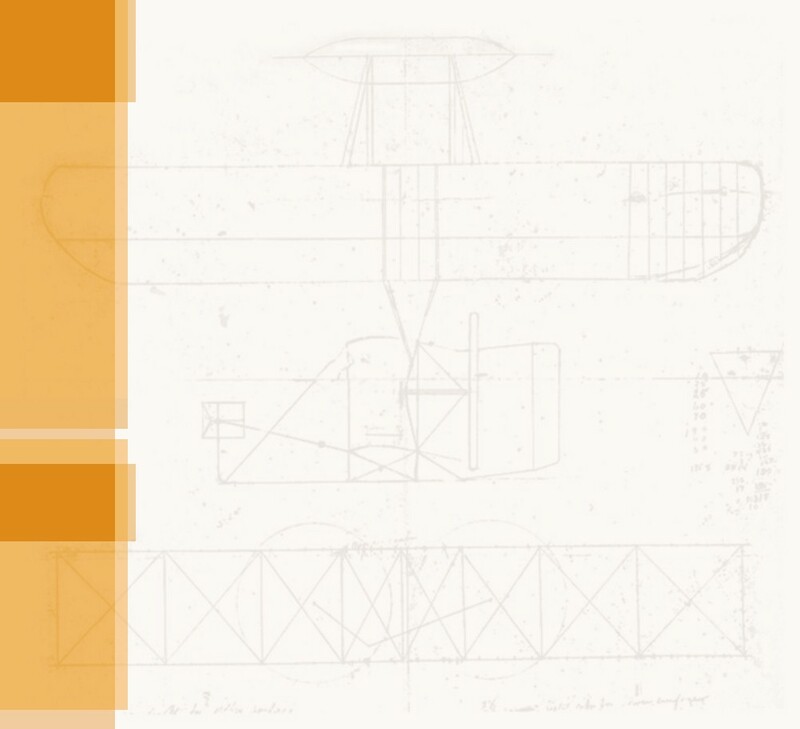 Wright Flyer Drawings and Specifications ─ A three-view (top, front, side) plan of the 1903 Wright Flyer I and its "specs," such as size, weight, materials, engine horsepower, and so on. Wright Flyer Parts ─ the parts of the 1903 Wright Flyer I with short explanations of what they did and how they worked. Can we have permission to publish a photo? We are not a clearing house for historic aviation photos. The 48 high-resolution historic images we have posted in Help With Homework are for "scholarly" use only -- school reports, term papers, History Day projects, and the like. Unless you want to publish one of the contemporary color photos that we have taken of our flight experiments, we cannot legally give you permission to publish old photos. However, you can download high-resolution images of Wright brothers' photos from the Library of Congress. Since these are in the public domain, they may be used without permission. If these won't do, by far the next best source is the Special Archives and Collections at the Paul Laurence Dunbar Library at Wright State University in Dayton, Ohio. They have an astounding collection of Wright brothers and pioneer aviation materials, their fees are reasonable, and they are both knowledgeable and helpful far beyond expectations. In 1911 Earle Ovington, flying a Bleriot XI, delivered the first bag of air mail in the United States – 640 letters and 1280 postcards. Postmaster General Edward M. Morgan is at the extreme left. 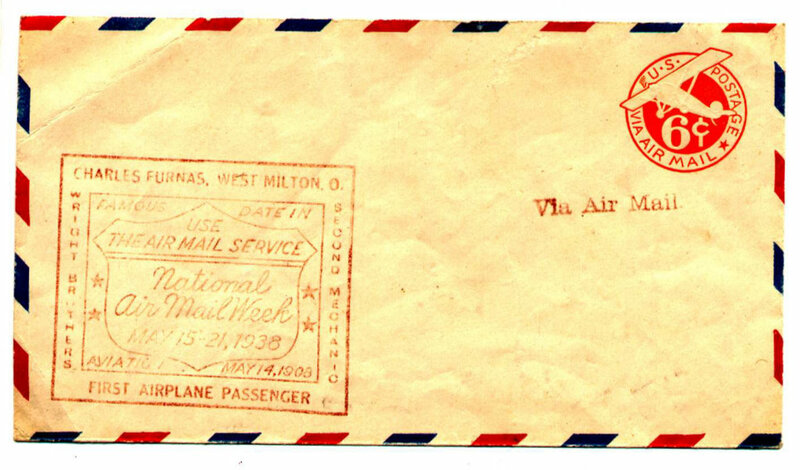 When Cal Rodgers crossed the United States in the "Vin Fiz" in 1911, he sold and carried his own souvenir air mail. 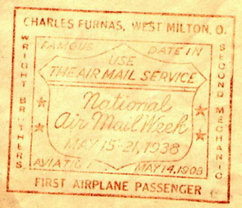 Charley Furnas, who flew with the Wright brothers to become the first airplane passenger in 1908, was honored with this special air mail cancellation stamp in 1938.